In the Student Technology Leadership Program (STLP), JCPS students work to solve problems in their schools and communities—and then share their work at local, regional, and national events. Many schools throughout JCPS participate in STLP. Ask staff members at your child's school for more information, or get general information about STLP in Kentucky schools. Robotic programs allow students to learn basic programming through the use of LEGO WeDo, RCX, EV3, and VEX robots. Robotics enhances the 21st Century Skills and helps students meet International Society for Technology in Education (ISTE) Standards by promoting teamwork, problem solving, and project-based learning along with the integration of Science, Technology, Engineering, and Mathematics (STEM) applications. Computer Education Support sponsors RoboRumble, a regional STLP Robotics Competition, every spring. For more information or to start a robotics program in your school, contact the JCPS Robotics team. Twenty-four JCPS schools will participate in the NASA School District Grant from the Robotics Education & Competition (REC) Foundation. This grant provides equipment and training each year for four years to 30 local schools to begin or enhance robotics programs. The grant is connected with the VEX Robotics Competition, the world's largest educational robotics competition. VEX will hold five international competitions in Louisville, and JCPS participants will be able to attend and possibly compete in the annual contest, which is held in April. 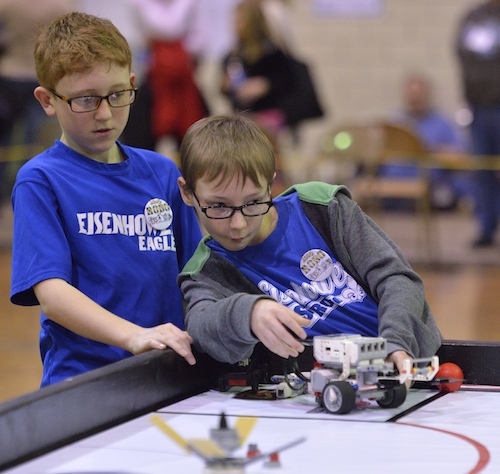 Learn more about the VEX Robotics Competition. Talk with your school staff members to get involved in these activities or to start your own STEM club. 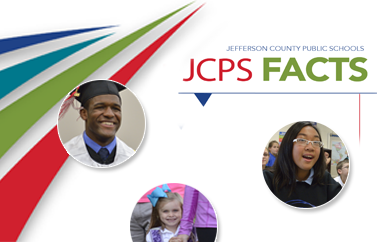 For those with a real passion for engineering and technology, JCPS offers magnet schools and programs for students of all ages.